Connect and charge up, no matter where in the world you are! 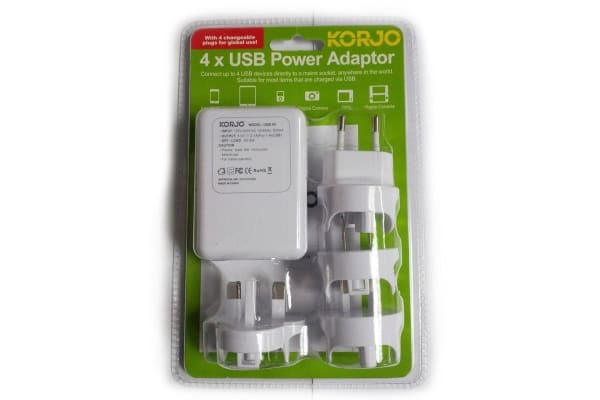 The perfect accessory for every holiday, the Korjo USB Power Hub allows you to charge up to 4 USB devices at once. 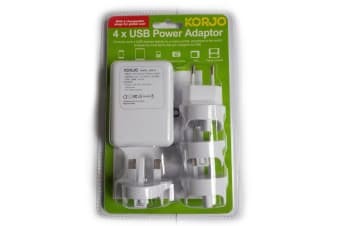 Plug the Power Hub directly into a mains socket, and with its fast charging 100-240V power, larger items such as iPad’s, can now charge quickly and efficiently.